Should you put virtual desktops in the cloud? One reason virtual desktop infrastructure hasn't taken the desktop world by storm is that the infrastructure requirements make large-scale VDI projects more expensive to deploy than traditional PCs. Desktop virtualization vendors are working to lower the cost of server-hosted virtual desktops, but there are ways to virtualize desktops today without incurring astronomical infrastructure and licensing costs. This guide covers desktop virtualization technologies that provide flexibility and security at a much lower price tag. Learn about ways to cut costs when using server-hosted VDI products such as Citrix XenDesktop and VMware View. 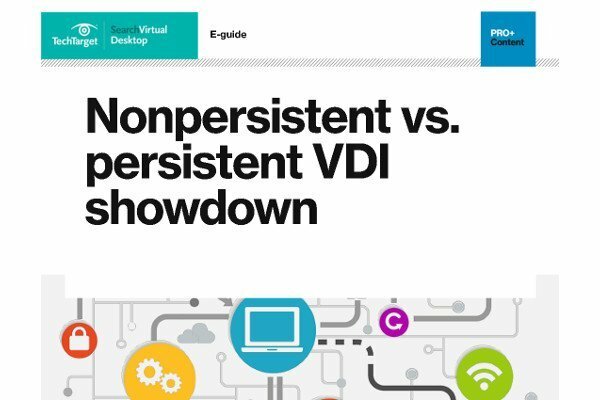 VDI has a reputation for being expensive -- and it is -- but understanding what you get for the money and why it's so pricey can help you find cost saving strategies and increase your return on investment (ROI). Check out these tips to save (at least) a little bit of money on delivering virtual desktops and applications.